The Wind Sphere™ Remote Monitoring System eliminates ambiguity about wind turbine performance by providing real time data. The system monitors, records and reports a broad variety of performance metrics in real time, including: wind speed, turbine output, and a variety of operation and safety variables. This data is communicated to our network operating center where it is monitored. This feature ensures the detection of problems before they arise. The remote monitoring software will monitor your Wind Sphere™ equipment. This system features real-time, web-based data that you can access on your PC. The Wind Sphere Remote Monitoring System uses your existing Ethernet or 802.11 b/g wireless (Wi-Fi). Additional options (e.g. cellular and satellite) are available for locations without existing Internet capabilities. Remote monitoring is included in all Service Plans. The Wind Sphere™ remote monitoring system monitors, records and reports performance metrics including wind speed, turbine output and safety variables. 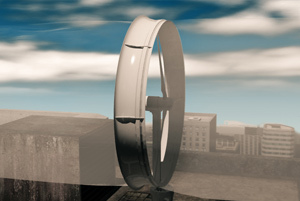 Wind Sphere™ is a trademark of GreenEnergy Technologies, LLC. We reserve the right to make product modifications and enhancements to all of our products. All rights reserved. Patent pending. Technical information based on preliminary results. Data subject to change.